Shelter Scotland is to present a hard-hitting photographic exhibition high-lighting its work with homeless people. A thief broke into a charity shop where he claims he used to work and stole £2 and two packets of biscuits. VIP tickets for the opening night of Sir Cameron Mackintosh’s production of Les Miserables are up for auction at this year’s Shelter Scotland Fashion Show in Dundee. Two dresses donated by Lorraine Kelly will be among the prizes at a Dundee charity raffle. 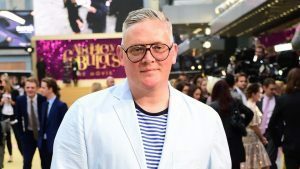 Fashion designer Giles Deacon has said he would be “more than delighted” if he was given the chance to design Meghan Markle’s wedding dress were she to walk down the aisle with Prince Harry. A project run by housing charity Shelter Scotland has returned to Dundee. How could someone like Suzanne Sime end up homeless? Crisis care has been offered to almost 600 “homeless” children in Tayside and Fife in just six months. A rise in the number of Dundee families who do not have a permanent home is “concerning”, a major charity has said. Hundreds more children are expected to face Christmas without a permanent home this year compared with 2015, a housing charity has warned. A collection of designer wedding dresses worth around £15,000 has been donated to a Dundee charity shop fashion show.